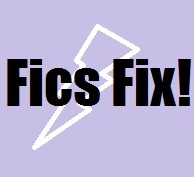 Dora Reads: Friday Fics Fix - Indulgent and Cute Spidey Sickfic, Because Why TF Not? Friday Fics Fix - Indulgent and Cute Spidey Sickfic, Because Why TF Not? Look, sometimes you just need something fluffy, k? I don't have a lot of time to write this post this week on account of life, the universe, and everything, so this week's Friday Fics Fix is kind of thrown together on a wing and a prayer! But I figured I'd treat you to something pointlessly indulgent this week. I think that one of the (many, many, many) reasons fanfiction is so awesome is that it let's you indulge in stuff that satisfies at a very basic, human, level. Cos like, why else would there be numerous fics with the most mundane everyday stuff ever? We like to see superheroes and characters with dramatic and/or 'Hollywood' lives struggling with the small stuff, or enjoying the small stuff, or supporting each other through the small stuff. We need to see characters with the super-est of powers, struggling with the day to day sh** we all struggle with. And (possibly unpopular opinion,) we need to see more of that in superhero shows and movies. Part of what makes Marvel in particular so popular is that the characters are flawed - in a world (way back when comics was young,) where DC heroes were God-like super-beings, Marvel brought heroes with very human flaws. They struggle with the same stuff we all struggle with. And that's why Spider-Man is the perfect fanfic fodder for tales of everyday issues. Plus, here he has his pseudo-father-figure, Tony Stark, taking care of him while he's ill (hence the 'sickfic' part of this post's title, lol!) - and it's always awesome to see that caring side of Iron Man! Do you prefer superheroes to struggle with normal stuff, or to be more god-like? What's your go-to indulgent reading? And this is why I love the direction the new Spider-Man movies have taken! People call them cheesy and childish, but I actually love the fluffier side to Peter. I prefer superhero movies that don’t have their heroes on some sort of grand scale where all of their issues are above us.